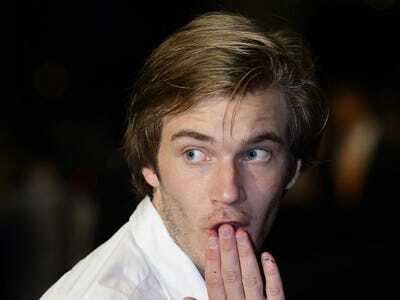 Felix “PewDiePie” Kjellberg is one of YouTube’s biggest stars, with more than 31 million subscribers and hundreds of millions of video views. Although he makes a ton of money from making videos for his fans — in 2013 he made around $US4 million from ad revenue — he said in a video today that turning off comments on his videos has made him very happy. The comments section on YouTube (and elsewhere) has long been a point of contention for content providers, as well as viewers and readers. YouTube tried to implement a fix for trolling comments by forcing people to connect their real names and integrating their Google+ accounts. Google later removed YouTube username restrictions. Some publications have even opted to turn off their comments sections altogether. Others have changed policies on how comments are handled. In fact, the author of this post is no stranger to trolling comments on YouTube. As Kotaku points out, Kjellberg did not shut off communication with his fans completely. They can still chat with him or about him elsewhere. Hopefully by Kjellberg not just turning off his comments, but also speaking out about how happy he is to have done so, YouTube can take a look at how it handles the comments section of its site and figure out a way to get rid of the trolls once and for all.